As parents we only want the best for our children. Only you know what that is. Every child is different and unique, and all children need different things. I want to share with you the benefits of Early Childhood Education so you can decide if it is right for you and your child. Studies have shown that children who interact with other children early in life learn great social and emotional skills that will carry on with them throughout the rest of their lives. Many children learn early in life how to make bonds and friendships with other children that create a sense of belonging that will last a lifetime. Outside of parallel play and social interaction, children learn may problem solving skills when working in groups. They learn how to work with others, they learn how to take turns, and they learn how other ideas can help your ideas work. They learn to work on projects and studies together to accomplish things with very little help from a caregiver and that gives them life skills that also carry into adulthood. Children who start in Early Childhood tend to be ready for Kindergarten, they can sit, listen, and wait their turn in class. Many kindergarten teachers appreciate the time children spend in Pre-school. On My Way Pre-k research here in Indiana is showing that children who attend pre-k programs have a better success rate in kindergarten than their counterparts that did not attend kindergarten. 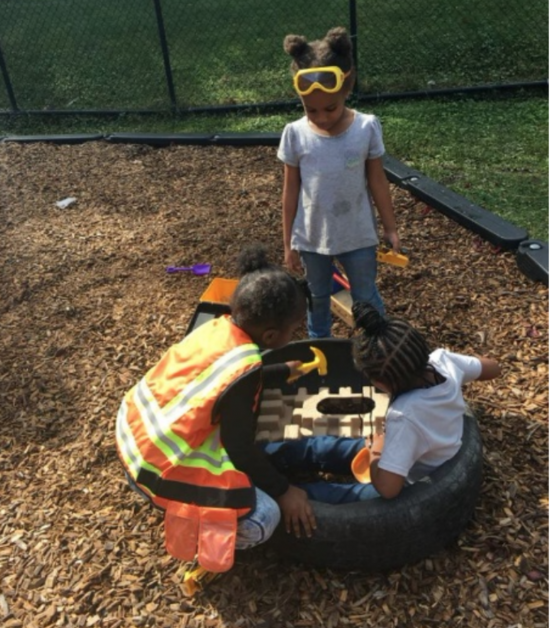 When we allow children to work with other children, to solve problems and figure things out together with little to no interaction from the caregivers we are giving our children the ability to communicate, problem solve, and be true leaders for the future. Knowing that they can learn, and answer questions together is a skill that truly does last a lifetime. Sure there are social skills, and problem solving skills and friendships to be made. There are listening skills and children figure out how to work as one person in a group. There is also the ability for children to figure out who they are and what they like to do, opportunities arise from questions others ask and items others bring into our environments. There are so many opportunities for children in an early childhood learning environment. Please come check us out at one of our centers and take advantage of a stay and play day, if space allows. We would love for your child to see what it is all about! Take the first step by contacting us!